So, September is one of my favorite months and I'm really glad you're here to share it with me. Not only is it my birthday month (32, I'm coming for you), but it also signifies the beginning of fall and all things related to that glorious season. I'm ready for summer to cease, I'm ready to hunker down in a good way—with scarves and hot drinks and note pads (hence the moody wallpaper download)—and I'm ready to plan for what the very wise Hilary Rushford would call my next season of hustle. You see, I've got big plans for the next year or so. I may have a book on the horizon (There, I said it. Feels good!) and I desperately want to take my podcast show on the road. Additionally, I'd like to spend as much time as humanly possible focusing on my own health and wellness because—let's face it—writing about the topic does very little to actually keep one healthy or well. I hope you'll continue to join in as we all collectively journey into the new season. I know I'll be here—in warm-weather clothes—putting plans onto paper and ideas into action. I snapped this photo during our recent trip to the Pacific Northwest. The famous rain and fog, which that part of the country is known for, showed up just as we were leaving. I was able to capture the mist hanging over the trees as our ferry pulled away from the dock, heading east. So tell me, friends: what's in store for you this month? What a summer it's been! August signals the winding down of so many things: summer travels, the warmest of Sacramento days and the busy event season. As fall slowly approaches, I always find myself aching for change. This is the season in which I generally start researching potential new ventures, gearing up for big shifts, de-cluttering the house and daydreaming about what the future holds. This year, however, I'm desperately trying to live in the moment and simply be. It's not always easy for me to be still and take in what's right in front of me, but I've got a lot to be grateful for and would hate to forsake the now for whatever's on the horizon. So, here's to a month of intentional activities, a little more rest and whole lot of living in the present. I snapped this photo on the ferry ride between Port Angeles, Washington and Victoria, BC, Canada last week. I'll be sharing more of our trip in the weeks to come, but I hope you'll enjoy this in the mean time! So tell me: what do you all have on tap for August? Rest? Adventure? Spill it, friends! Well, my goodness. Summer has most definitely arrived, friends—our outdoor thermometer showed a reading of 106° yesterday! Though I spent much of the day inside with our trusty air conditioner taking the edge off, I thought we could celebrate the sunniest season with a new wallpaper download. I just love feeling this photo evokes—perhaps because it was taken on a wonderful trip? Regardless, what could be better than palm trees in the desert? Here's to summertime in California! Have a wonderful month, everyone. And try to stay cool! p.s. Did you catch the latest episode of the Creating Your Own Path podcast? We are officially inching closer and closer to summer, my friends! It's already pretty toasty here in the Sacramento Valley and I have a feeling this summer is going to be a good one for backyard BBQ's and weekend adventures. I hope this month's desktop and mobile wallpaper download will get you ready for the season. The giant butterfly bush pictured is actually in a neighbor's backyard, but we benefit from its beautiful blooms, which come over the fence in the spring and summer months. The other day, I thought I'd capture all of the early morning activity taking place and had fun trying to snap photos of the dozens of butterflies and bumble bees milling around. It made for a lovely morning, that's for sure! 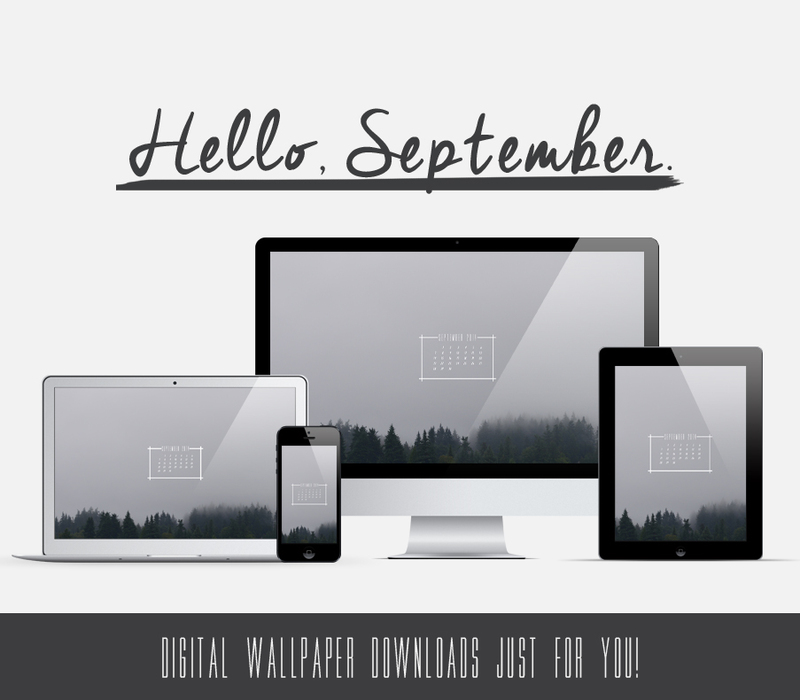 Have a wonderful month, my friends, and if you like these free downloads, be sure to share this post with a friend!